Eula.pdf​ (50.6 KB) - added by Djfe 11 months ago. 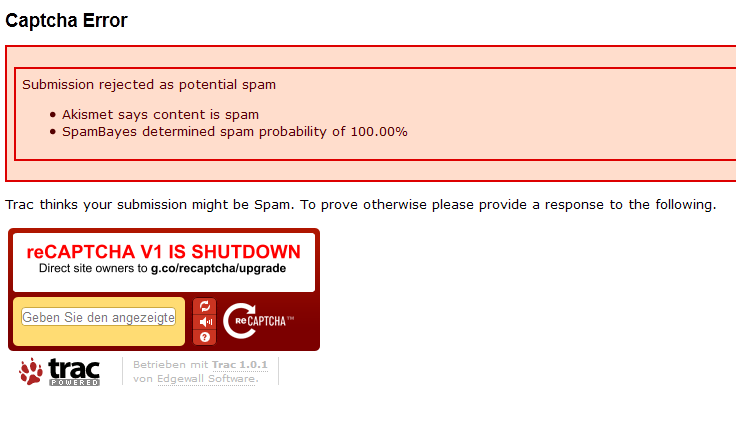 Should be using reCaptcha v2 now, but I didn't test. Please re-open if it is still broken. Thanks for testing. 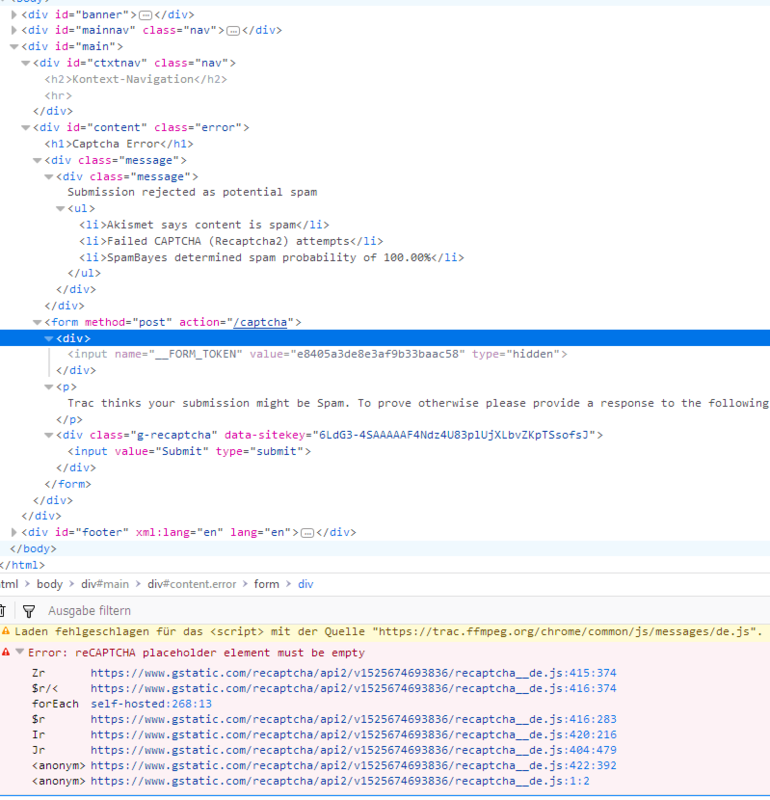 Looks like a bug in the trac plugin. I made some changes. If it doesn't work I'll use something else. that was just a test, but you disabled the captcha upload, I think. I trained the Bayes filter on the valid false positives. As a result your post no longer reached the Bayes threshold and the captcha was avoided in your case. Perhaps not the wisest move on my part since I never confirmed that my recaptcha2 fix worked, but I'll leave this ticket open for now until I confirm if it works or not.